threeseventwo creative media is the online portfolio of Nashville-based creative director and designer Franco Scaramuzza. 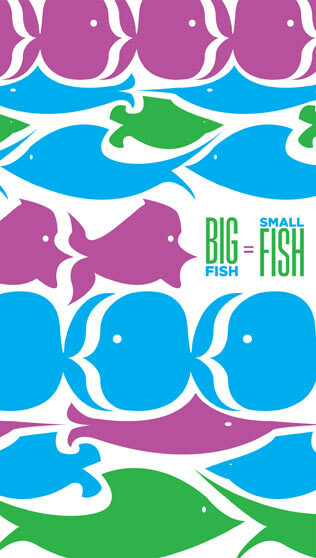 His work includes art direction, web design, graphic design, branding and advertising. 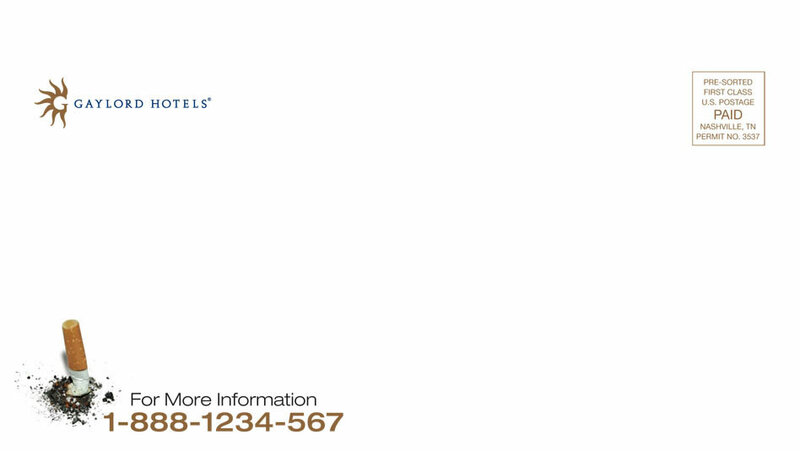 Art Direction and graphic design for a multi-piece marketing campaign announcing Gaylord Hotels' non-smoking initiative. We utilized traditional and online marketing tools to engage the target audience. 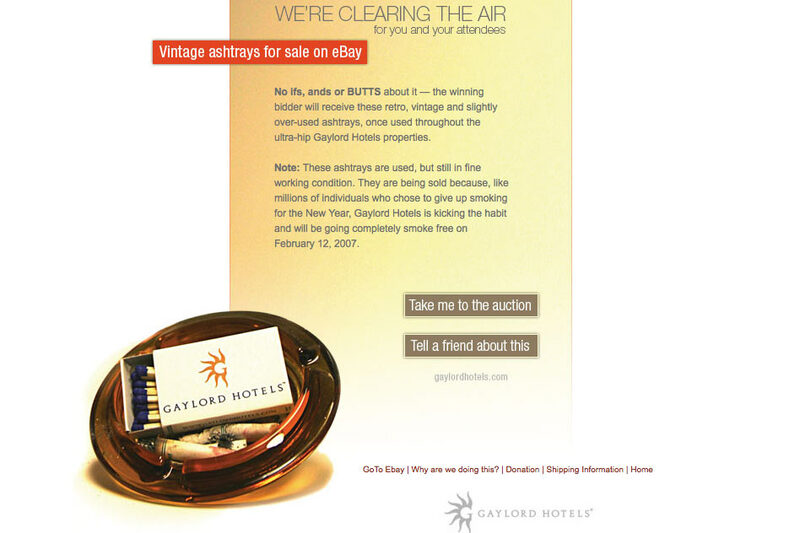 The idea was to create more than a simple press release and to use "Gaylord Hotels Kicks Butts" as a branding slogan. The overall voice was as simple and direct as the visuals. Clean design for clean air. The idea of an online auction created very positive media and clients responded with excitement. 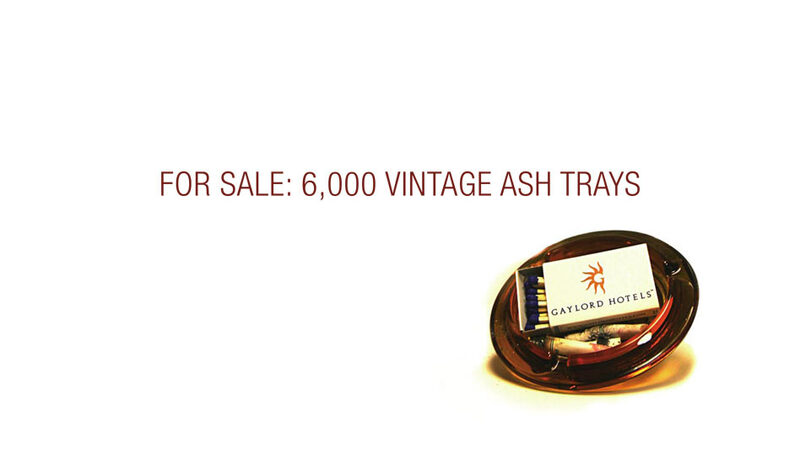 The proceeds of this auction were donated to the American Lung Association. 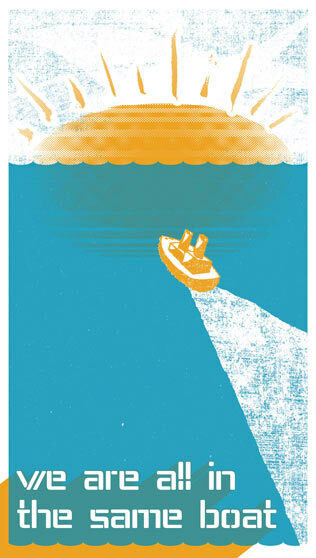 This piece won an ADDY Award in 2008. 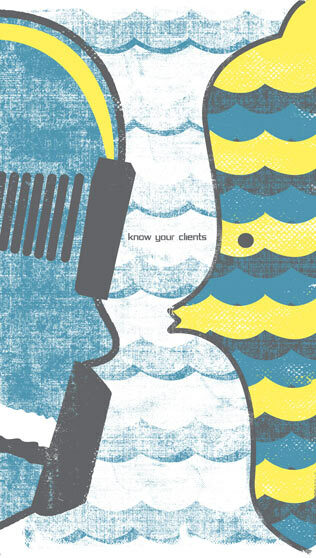 Art direction and graphic design of a print marketing pieces in form of event posters for the Plowhaus Artists’ Cooperative that invite to a Nashville art show. In order to reflect the entire show the design of the posters could not be a pieces of art themselves or mirror a particular artistic style. Next to the art direction and graphic design I also had the great opportunity to name the shows. The reader's attention is drawn to the posters trough an unusual typography treatment for the title. 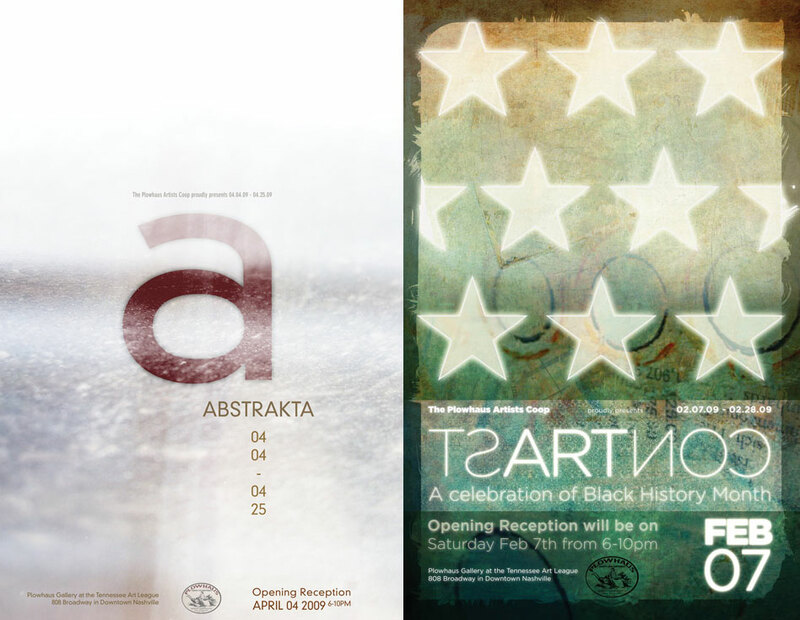 The Abstrakta poster won AIGA Case Award in 2009, Silver ADDY Award in 2010 and was recognized at the Tenn Show in 2010. 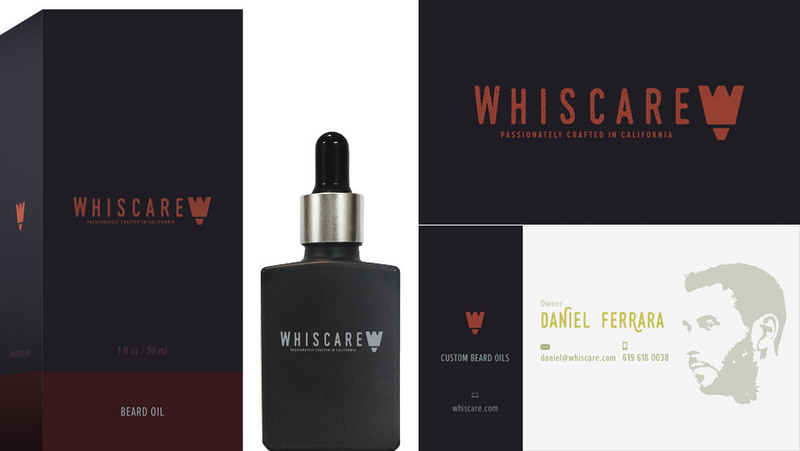 Brand development of a beard oil company based out of San Diego. Whiscare's prodcut line completes skin care for today's man. The initial task was to create a unique brand name, logo design and all packaging. The design was recognized with a Graphic Design USA Package Design Award in 2015. 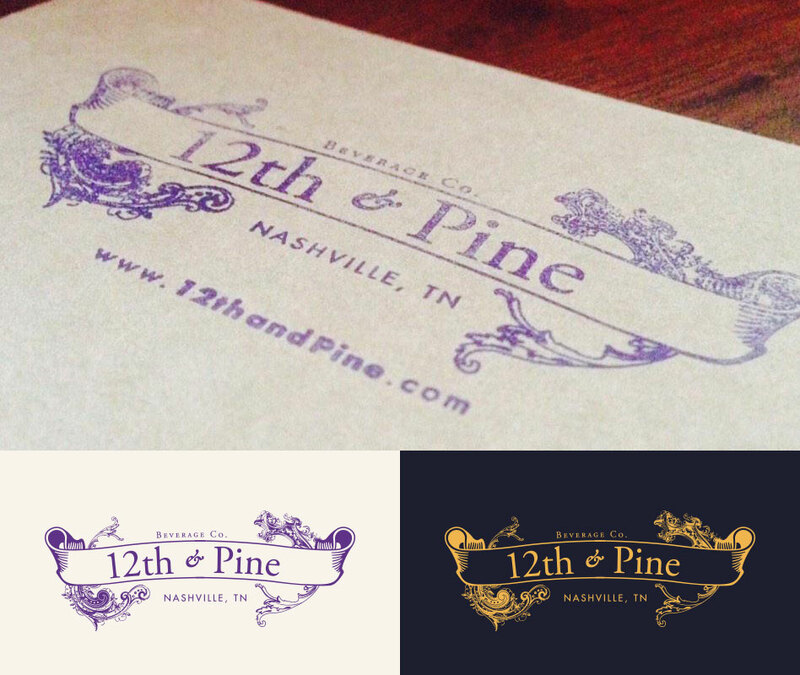 Branding and marketing of a Nashville-based wine and liquor store. 12th & Pine Beverage Company located in the Nashville neighborhood the Gulch. The store offers wines, spirits and craft beers. 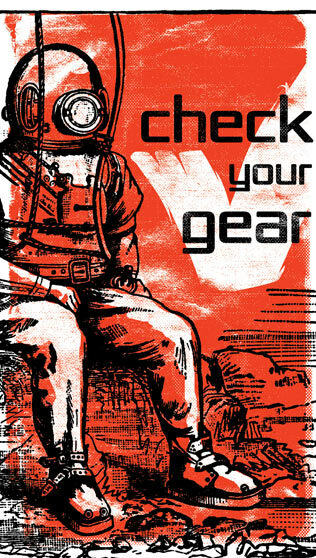 The vintage logo design and warm brand colors create an inviting and personal look and feel. 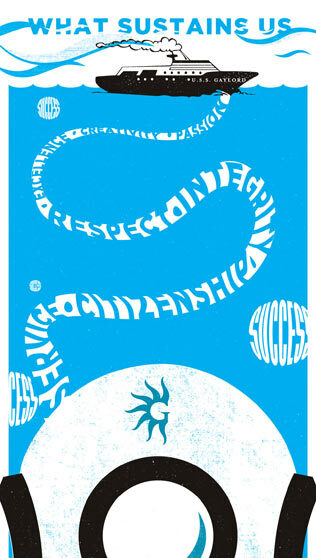 Using the logo as a stamp on marketing and merchandise collateral underlines the personal touch. 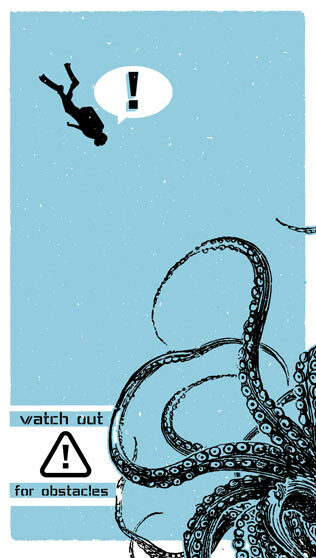 Art direction of a freelance designer and silkscreen printer to create a calendar. 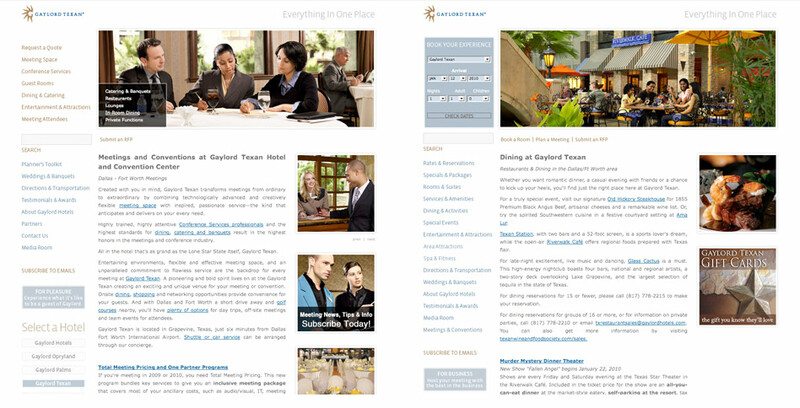 Gaylord Hotels' sales team establishes an annual motto each year. 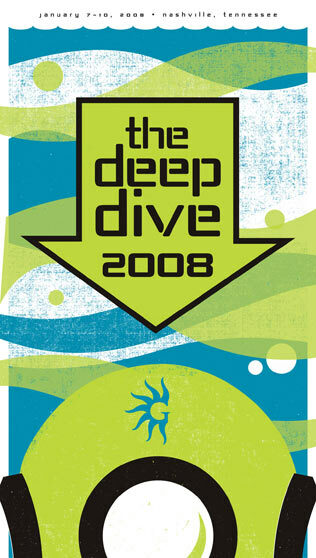 In 2008 I was on the planning committee and created the new motto 'The Deep Dive'. The idea was to focus on the essentials of the brand. The idea was to communicate single cornerstone messages to the sales team and to give a monthly reminder. Each month's message was carefully planned and conceptualized. 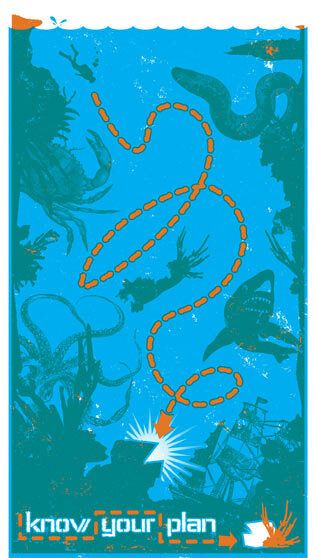 This calendar won an ADDY Award in 2009. 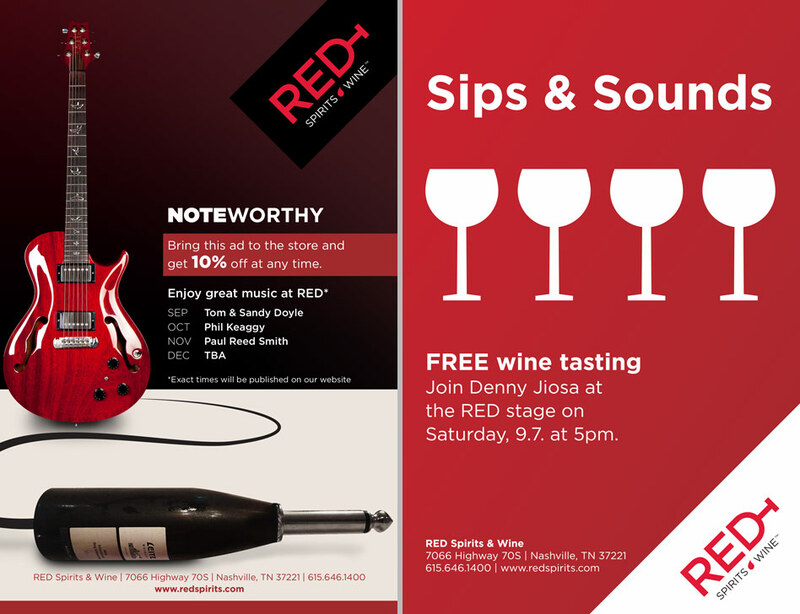 RED Spirits & Wine is a local retail store in Nashville, TN. The store's atmosphere is European-contemporary yet inviting and personal. 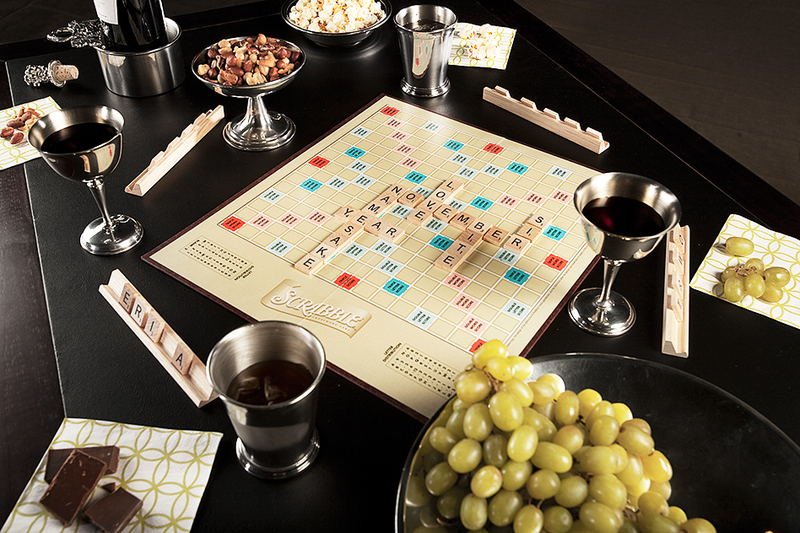 The expected rich textures associated with wine (cork, cellars, wood) are not part of the brand identity. 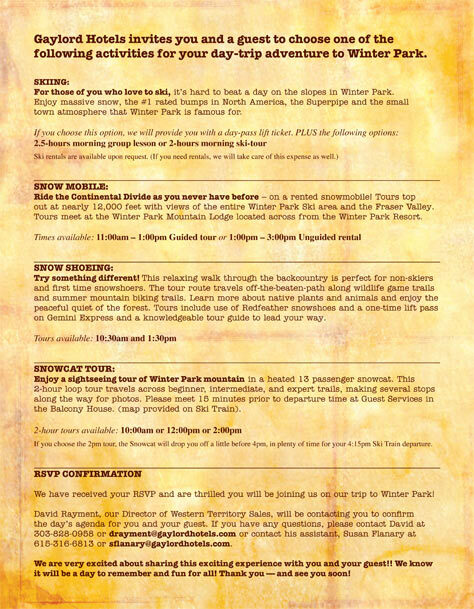 These ads promote onsite and offsite events. The first ad targeted an audience with a strong interest in music. The headline plays off the type of event. The other two ads' secondary objective is to strengthen brand recognition. Art direction, branding and graphic design for GroupConnect. The largest network of Tour & Motor Coach Operators in North America. 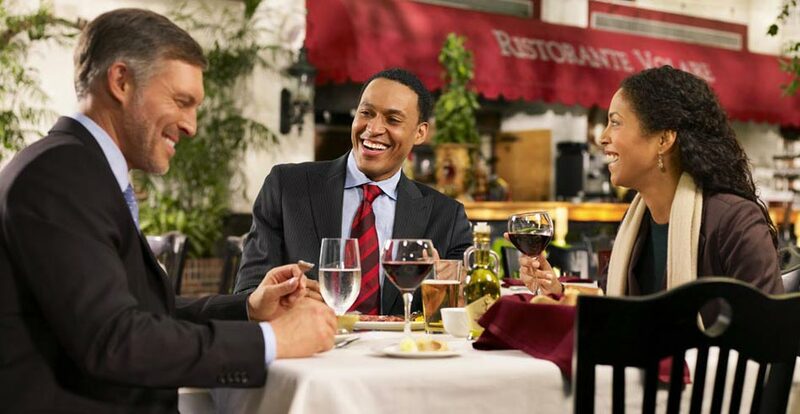 GroupConnect is a networking program by the American Bus Association and the Ontario Motor Coach Association targeting tour bus operators and destinations. My assignment was to create a corporate identity based on an existing website and logo. I created the new tag line "Moving Group Travel into the Fast Lane" as well as an advertising campaign reflecting this slogan. The ad campaign is now in it's second year of use. The race car theme was well received and later also applied to the new convention booth, email marketing and other advertisement. The new design showcases the products in a bold way. Content is arrange in a user-friendly layout and design elements and typography treatment support this user-friendly approach. The pages are separated in vertical spaces. This eliminates the fold and gives the user relevant content even after scrolling. The site was build on a Demandware platform. The custom icons and newly developed design patterns are all part of a new UI that enhances the overall user-experience on the website. Art direction and web design for a Drupal-based website. Journal Communications is a media firm with a strong print background. The logo, for example, resembles the flipping pages of a magazine. This was my inspiration. I incorporated paper foldings, perforation and layered sheet into the web design and UI. The Origami style and elegant color scheme creates a professional yet organic and authentic look and feel. The video was embedded into a "tear away" area to symbolize our intention that the message be something the user take with them. The news 'feeds' through cuts in the paper and can rotate or update, like old news tickers. 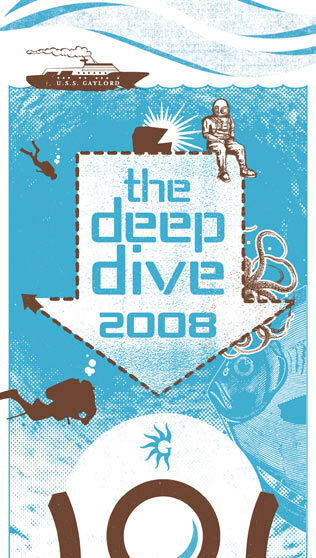 This website was recognized with a Graphic Design USA Web Award in 2010. 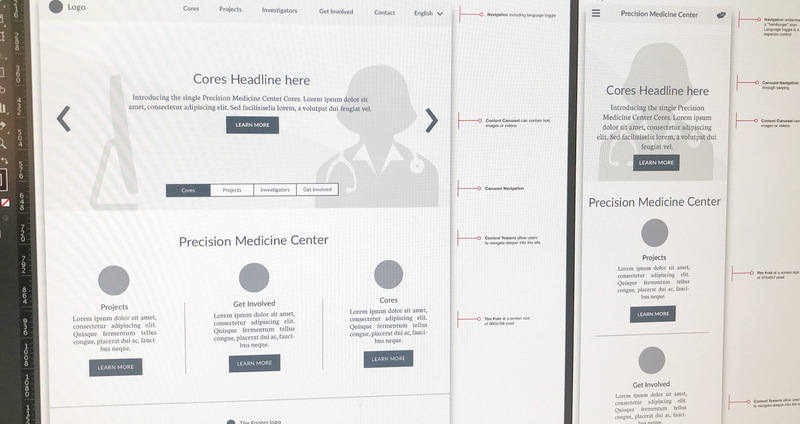 Design System development, branding and prototyping for a multi-center healthcare collaborative. 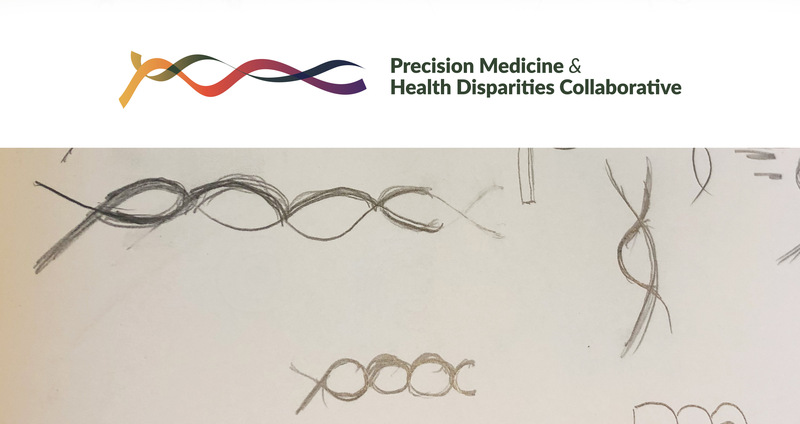 Researchers from Vanderbilt University Medical Center, the University of Miami and Meharry Medical College launched the Vanderbilt-Miami-Meharry Center of Excellence in Precision Medicine and Population Health. I was tasked to create a Design System as the foundation for the brand so that all communication vehicles could follow the established brand to create a holistic experience. Branding is the perceived emotional corporate character in its entirety. This branding symbolizes diversity, connectivity, humanity and science through its organic shapes, color gradients and asymmetry. The logo is the symbol that universally identifies individual brand pieces. Consistency is essential for effective brand recognition and user acceptance. This logo was recognized with a Graphic Design USA Logo Award in 2017. 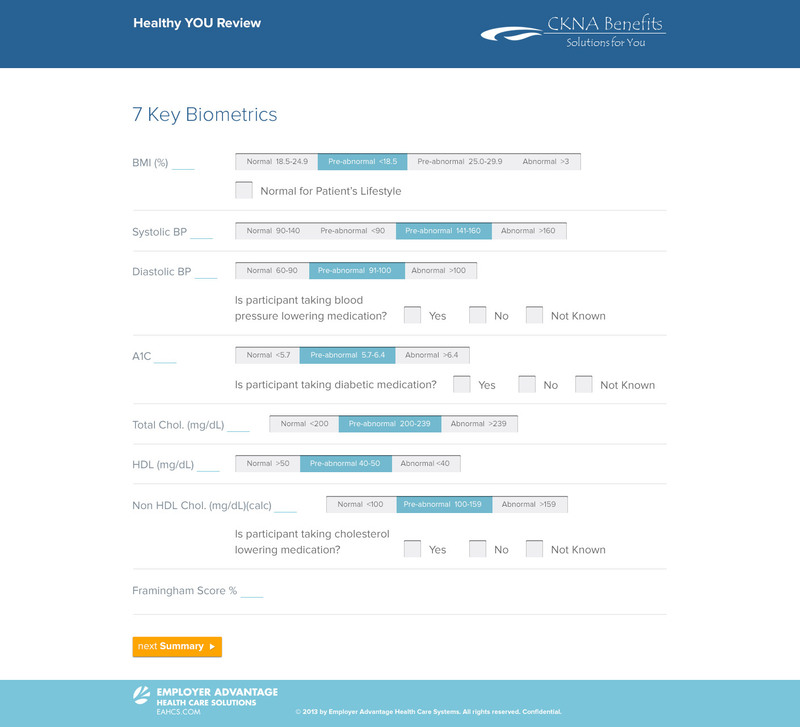 Design and prototyping of an interactive patient questionnaire. 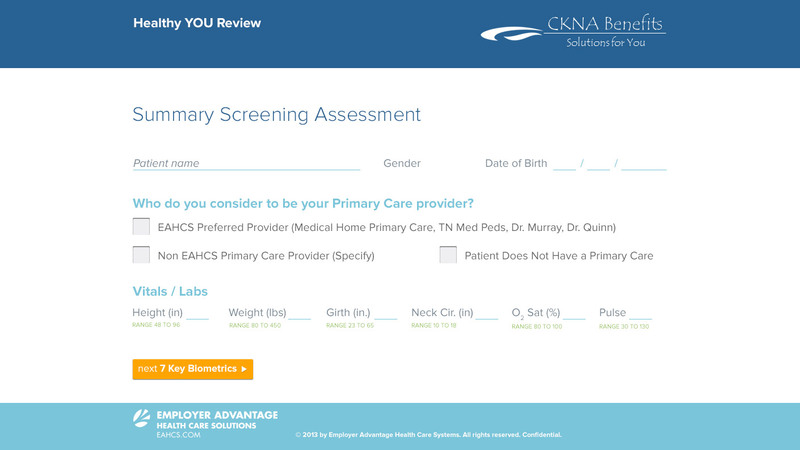 EAHCS uses this multi-step questionnaire application for initial patient evaluation and as a first user setup. 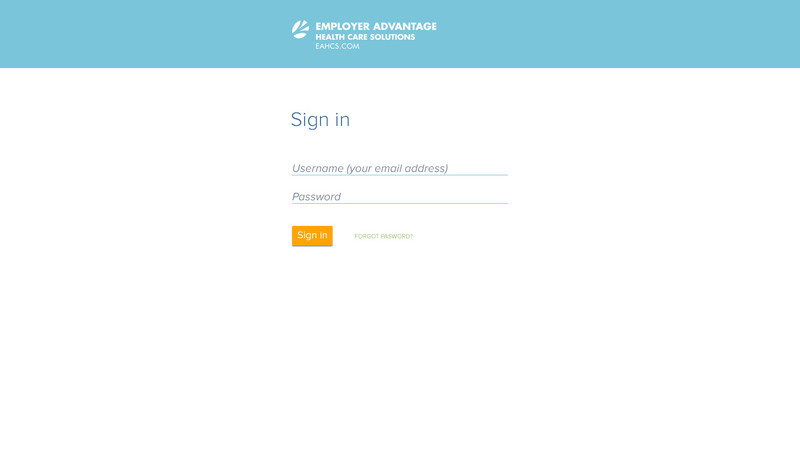 My assignment was to design a customizable UI that could be used as a white-label solution for EAHCS clients. The color scheme and typography allow for easy data entry and therefore increase data accuracy. I developed an Atomic Design System and a prototype with several initial screens. This allowed other team members to build out the entire application. 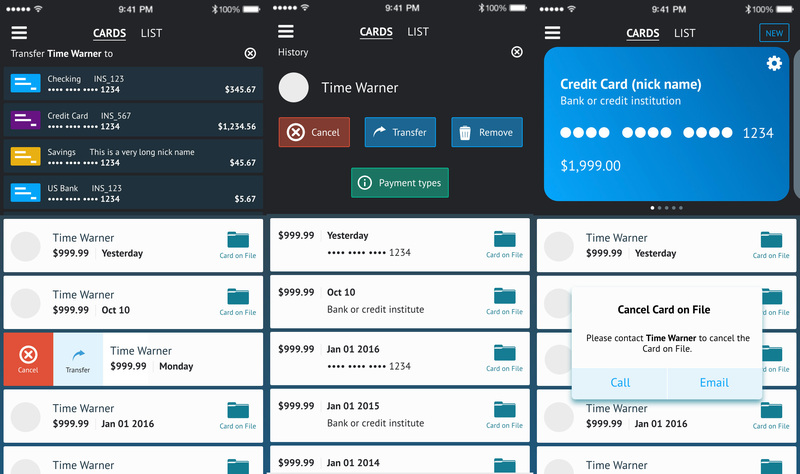 User-interface design and prototyping of a financial technology mobile application. The task was to improve a partially existing design and user-flow of an iOS application. 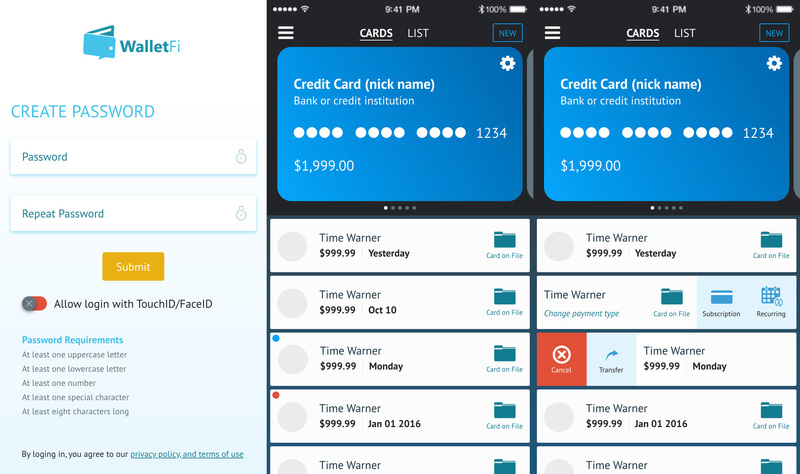 WalletFi allows users to proactively manage recurring payments. My assignment included all stages of the SDLC including discovery phase, wireframes, prototype and testing. The UI design included research of lifestyle photography, icon design and crafting of a color scheme that harmonizes with existing colors. 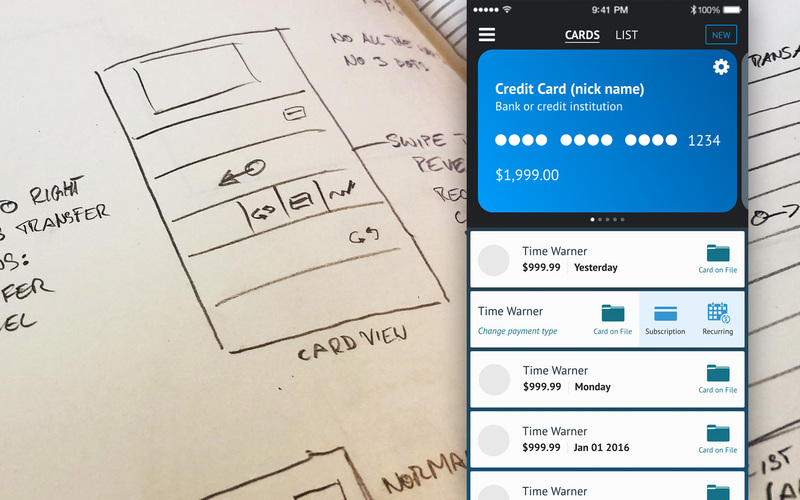 The UX of a financial application has to carefully strike a balance between easy-to-use and trustworthy/serious. Besides the visual elements, I also worked on gestures that are distinct to mobile apps. 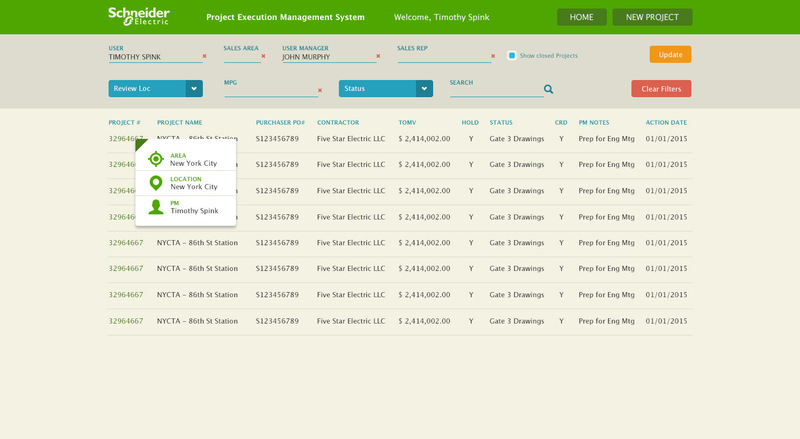 User-interface design and application design for an internal project management system. The objective of this project was to create an initial screen design and a collection of design artifacts. These artifacts will be used to create additional screens and interface modules. 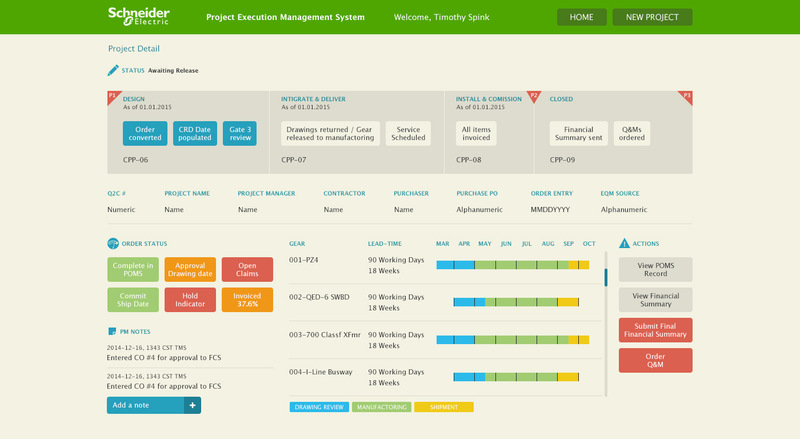 The application gives project managers detailed insight into resource allocation, supply-chain management, time lines and project statuses. The goal is to deliver a holistic and data-driven view to allow for better decision making. 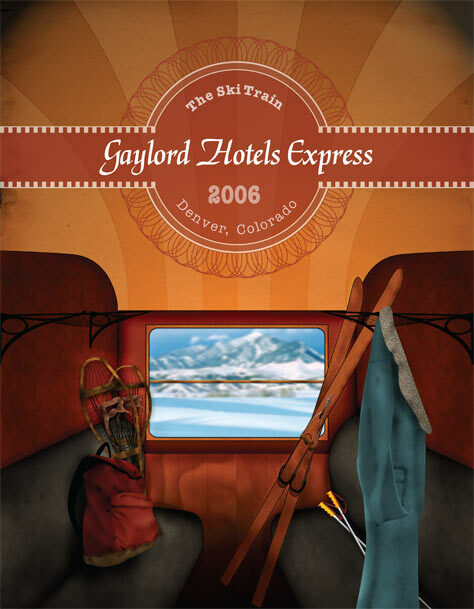 Art direction, graphic design and web design for marketing materials and sales collateral for the brand Gaylord Hotels and the individual properties. This rebranding included designing ads and campaigns, directing photoshoots, defining a brand voice and creating the concept and design of a new website as well as small sites for individual venues. The objective was to create one holistic user-experience. 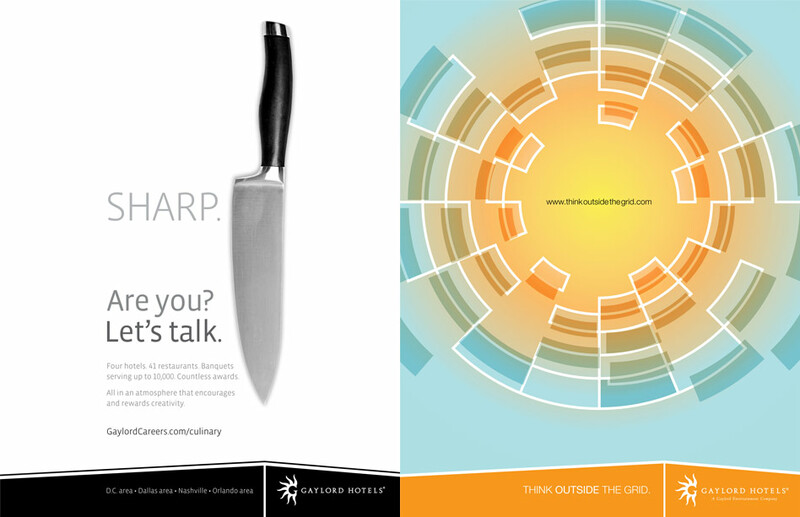 For the recruitment ad for the Food & Beverage department I crafted the headline "Sharp. Are You? Let's Talk." as well as the overall ad concept. 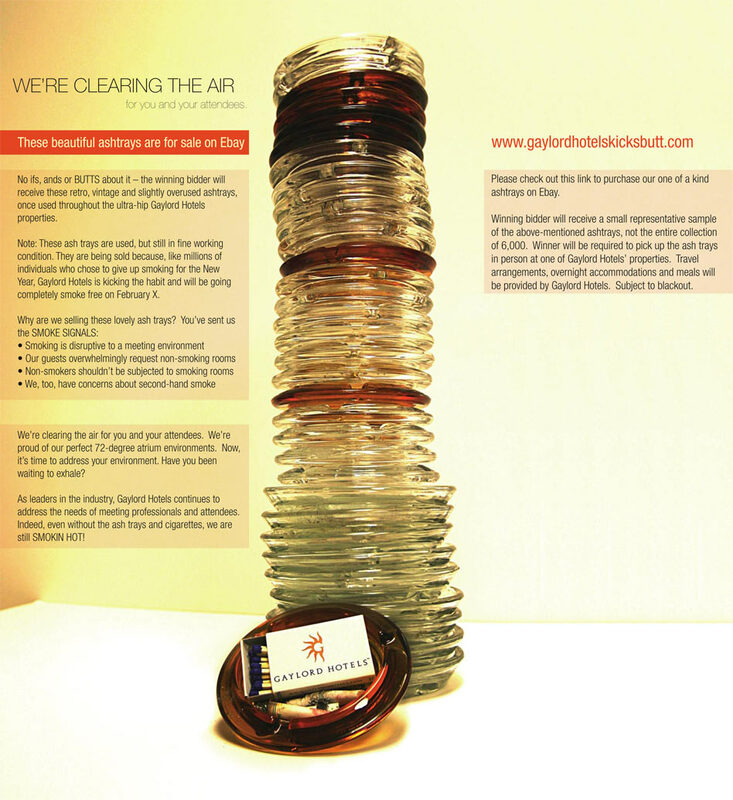 The "Think Outside The Grid" campaign was created to communicate that Gaylord offers more than can fit on a spreadsheet. 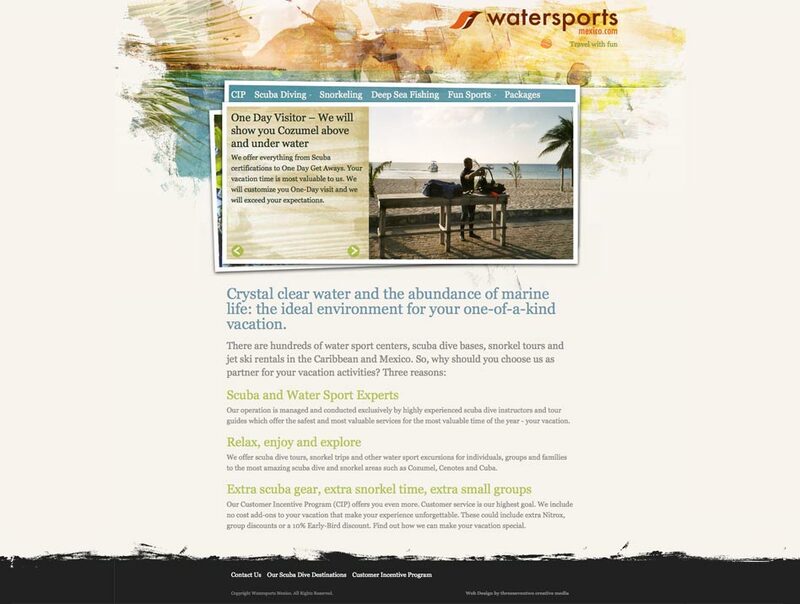 Art direction and web design of a WordPress website for Watersports Mexico offering scuba diving, snorkeling and other travel services to visitors of Cozumel Mexico. The warm color scheme of the web design is reflective of the friendly character of the business. Large photography and bold typography lead the visitors of the website to areas of interest. The grid layout of the web design allows for the information to be presented in a clear and easy to read way. 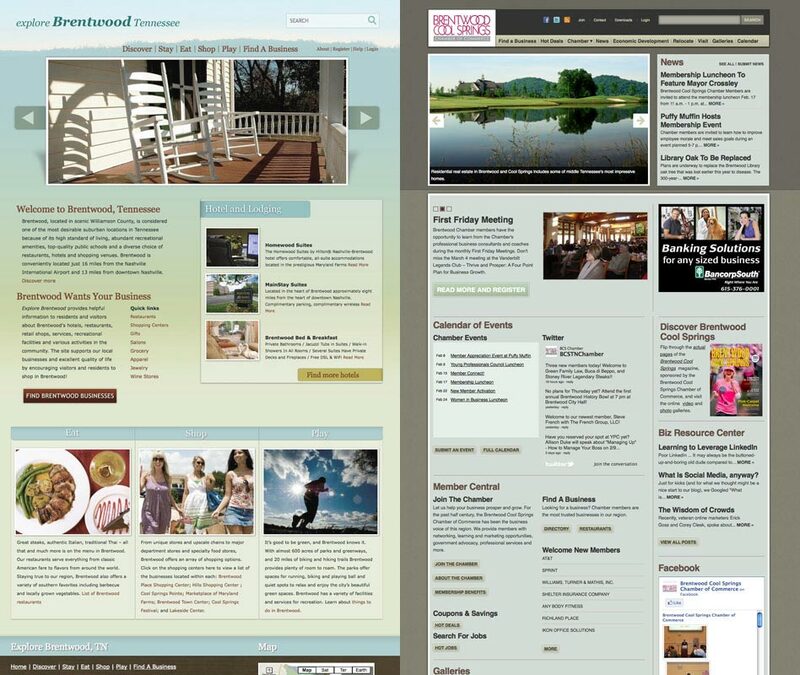 This website was recognized with a Graphic Design USA Web Award in 2011. 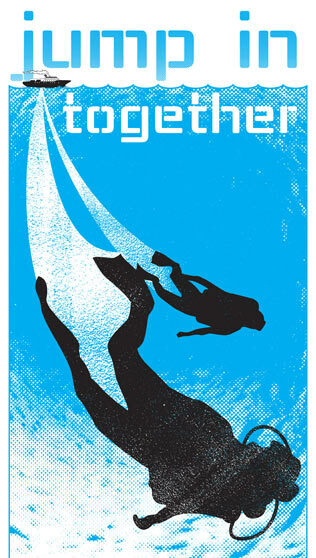 Branding including logo design and graphic design Watersports Mexico's island tour. The tour is tailored to German visitors of Cozumel Mexico. 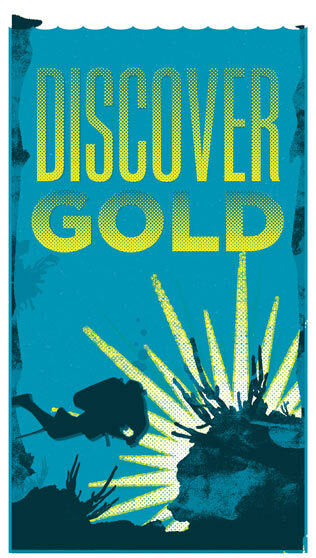 The poster series points out some of the services offered by the tour operators. 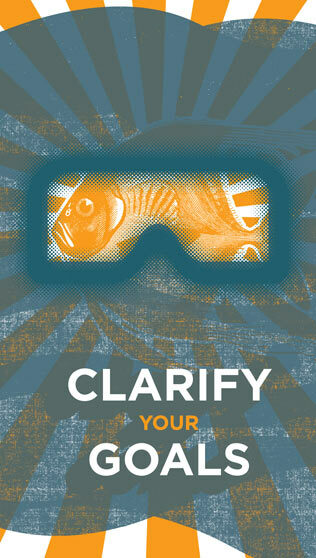 The cohesive look and feel connects the individual posters to each other and the brand website. 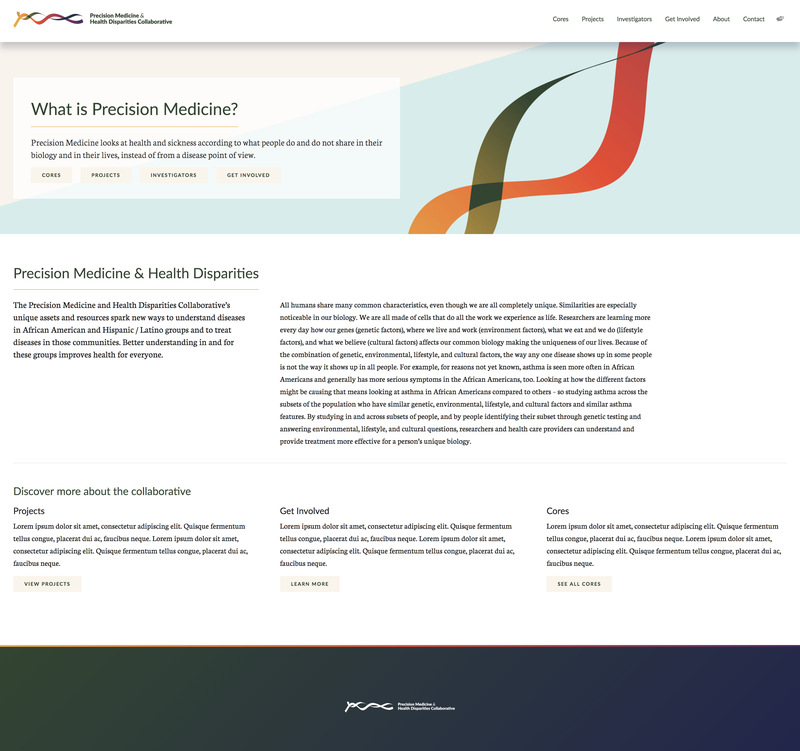 Art direction and web design for a science collaboration portal. 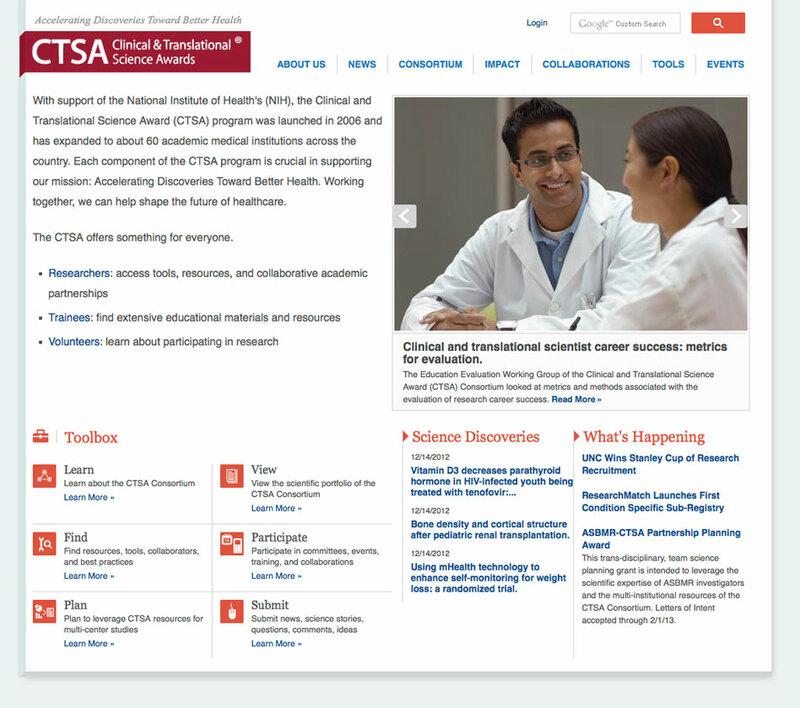 Clinical and Translational Science Award (CTSA) program is Drupal website powered by Vanderbilt University that allows scientist across the US to collaborate and also share information with the public. 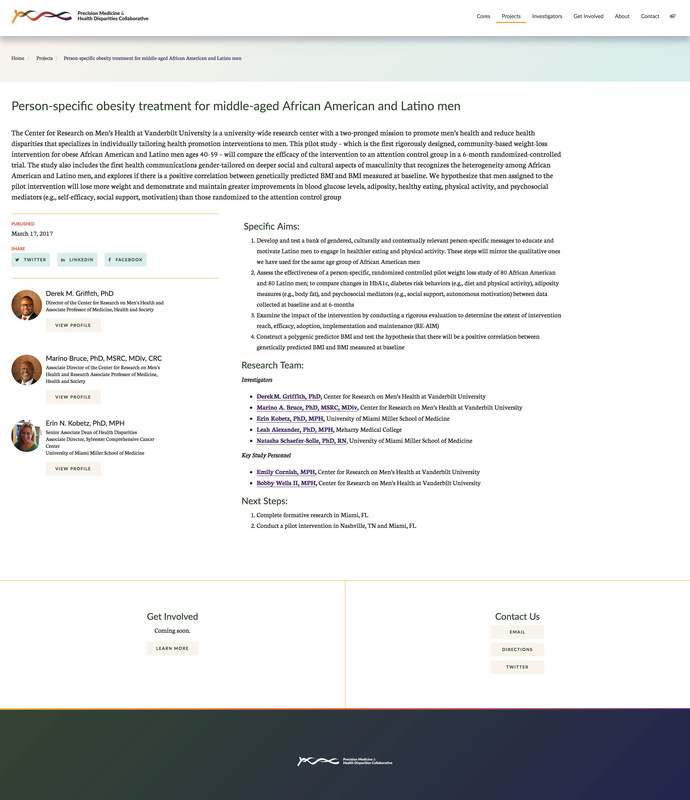 The light color scheme of the website allows for the content to stand in the foreground. The modern look and feel is reflective of the foreward thinking nature of science. 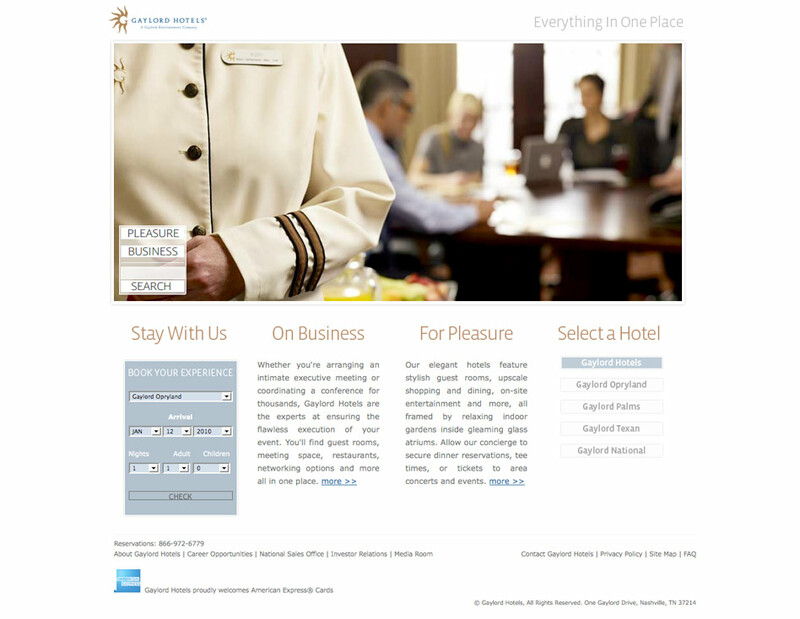 This project's UI design included custom iconography, button design and logo development. 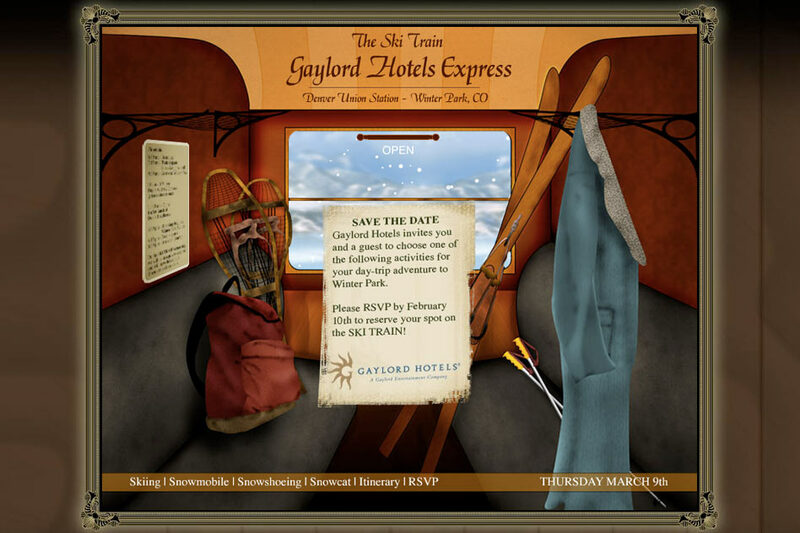 Flash-based microsite as invitation for a Gaylord Gotels sales event which took place during the ride of the Ski Train in Denver. 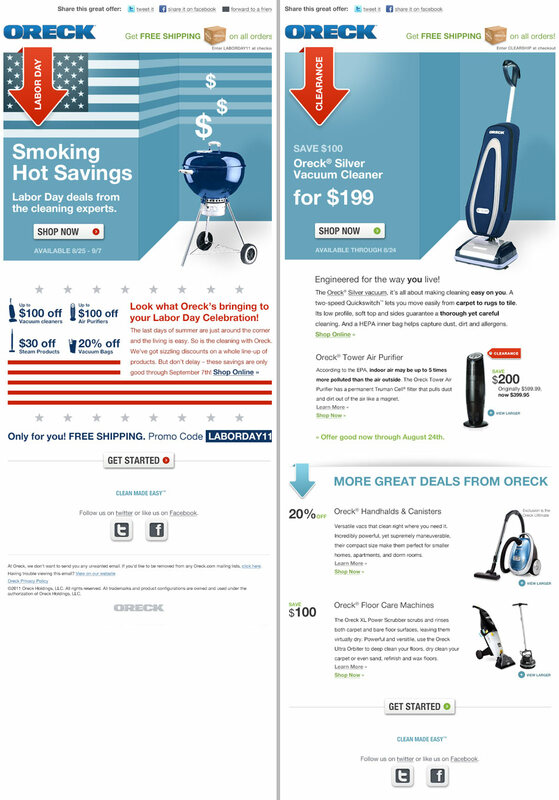 Email marketing and design for Oreck's promotional email program. These two HTML emails are part of a newly designed email system. The designs are adjustable and allow for different themes. By using the same color scheme and typography the emails create a visual connection to the over all brand look and feel. 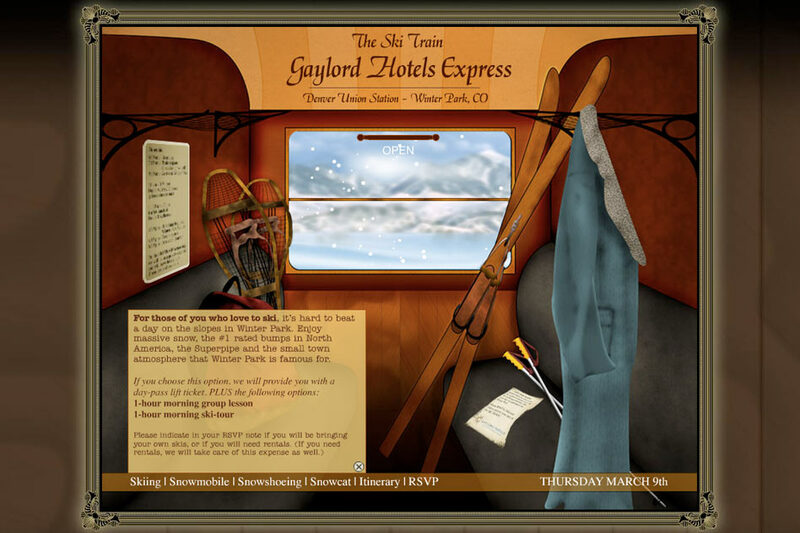 Both emails were recognized with a Graphic Design USA Web Award in 2012. 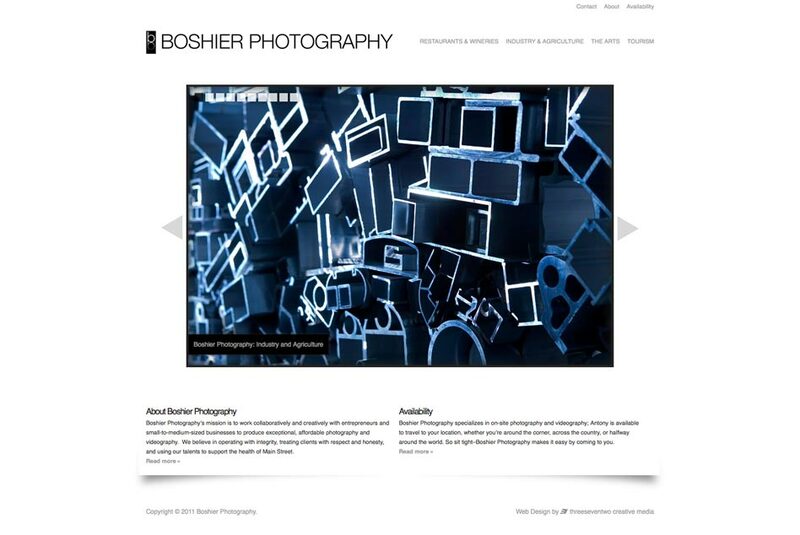 Art direction, web design and programming of photographer Antony Boshier's WordPress-based portfolio website. The minimalist web design keeps strong emphasis on the photography. 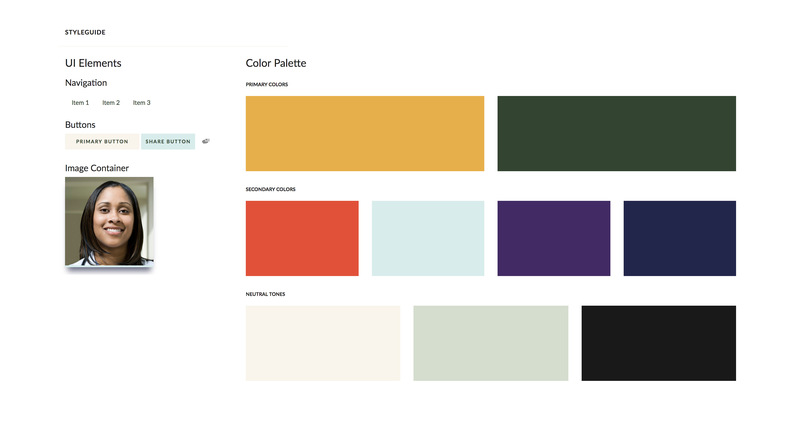 A monochromatic colour scheme lets the visitor browse the photos without being distracted by a busy website. A intelligent URL structure and relevant image titles are only a few things that support the SEO of the website. A grid-based layout lends the website a structured and organized look and feel. 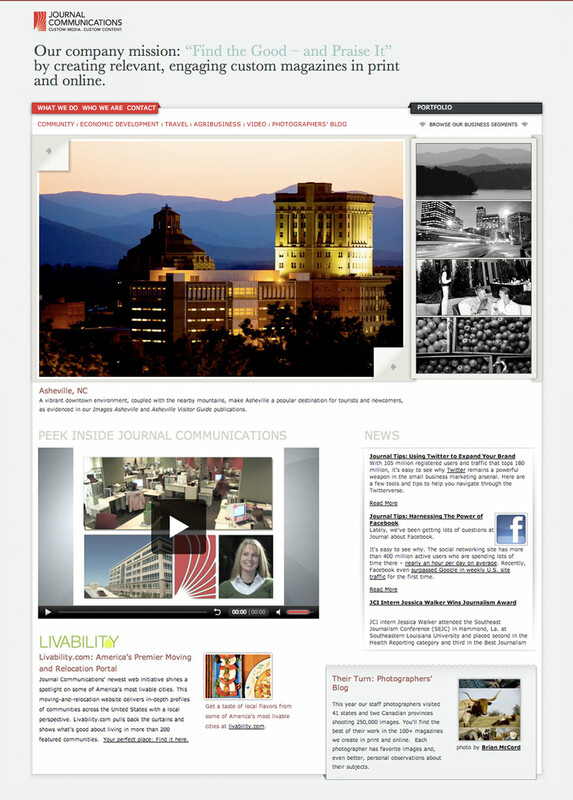 This website was recognized with a Graphic Design USA Web Award in 2011. Art direction, web design and programming of stylist Priya Mani's WordPress-based portfolio website. The dark web design allows for high contrast to the photography. The wood grain look is on the one hand not to distracting from the content and lends the website on the other hand personality. The web design reminds of a closet or wardrobe which is reflective of the work environment of a stylist. A intelligent URL structure and relevant image titles are only a few things that support the SEO of the website. This landing page for LeanKit served multiple purposes. It allows users to participate in a contest by submitting a real life snap shot of how they use the LeanKit software. 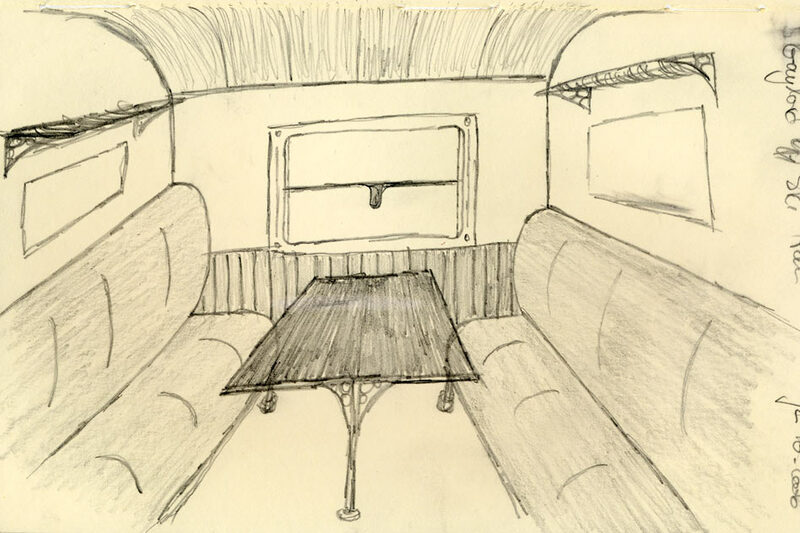 On the other hand it functioned as a test environment for new design directions. The newly implemented flat design elements, and new colors scheme, new header as well as a UX-test for a long page were well received. The build-up throughout the long page keeps the users engaged and animated them to keep scrolling. Concept and web design for Drupal-based websites for the city of Brentwood, Tn and the Chamber of Commerce Brentood Cool Springs. 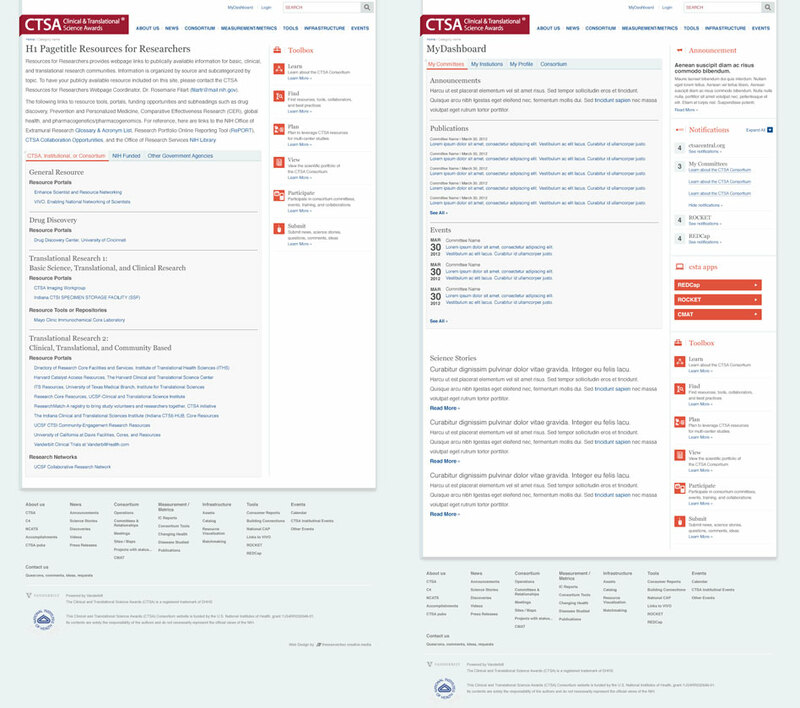 These two websites were conceptualized and designed as my role as Web Design Director for Journal Communications. The sites market a specific destination to a certain target audience. What initially were single projects evolved into scalable web products for Chambers of Commerce and Cities. The UI elements were created with the target audience in mind. 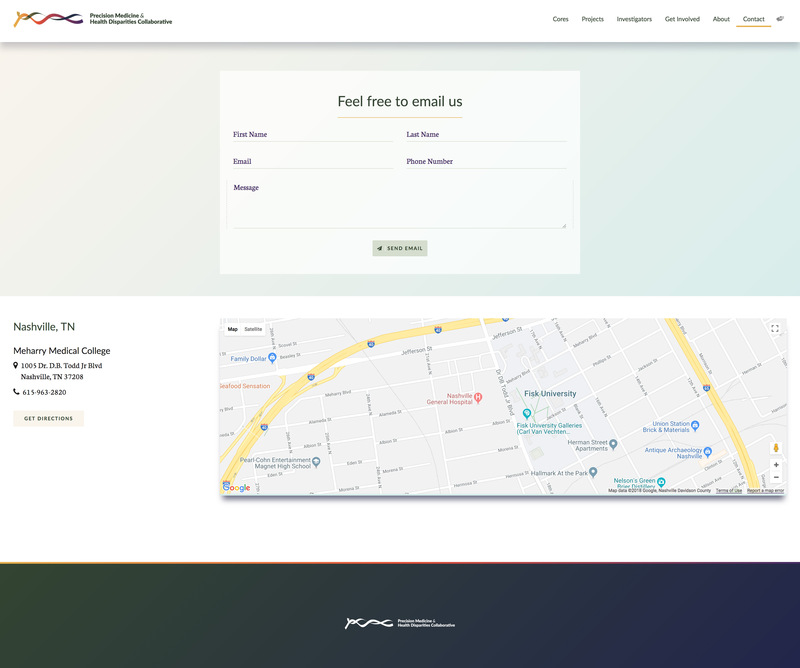 The goal was to create an environment for a friendly and inviting user-experience. Art direction and web design for local pub in Waterford, Ireland. 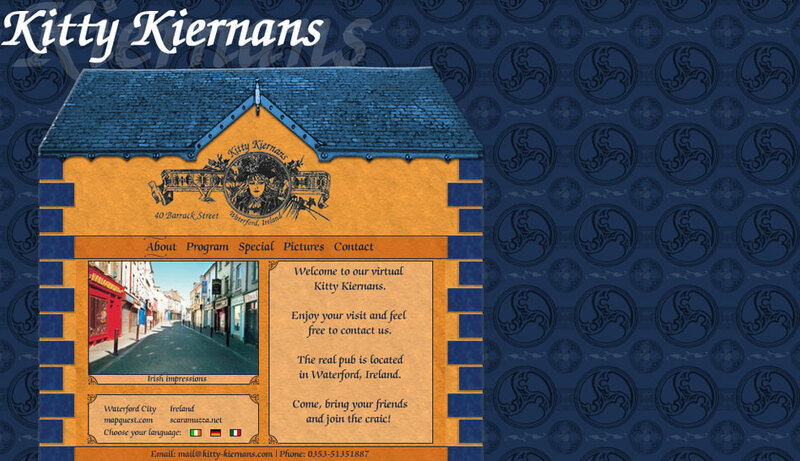 This Flash-based website for a restaurant and pub in Waterford, Ireland features a photo gallery, a calendar of events and other information. 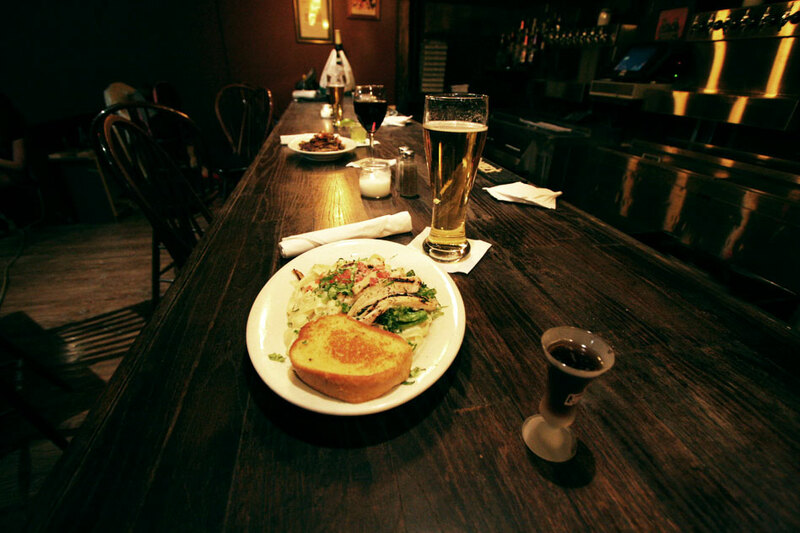 The web design incorporates elements of the pub's architecture which allows the user to imagine the experience of being at the pub. 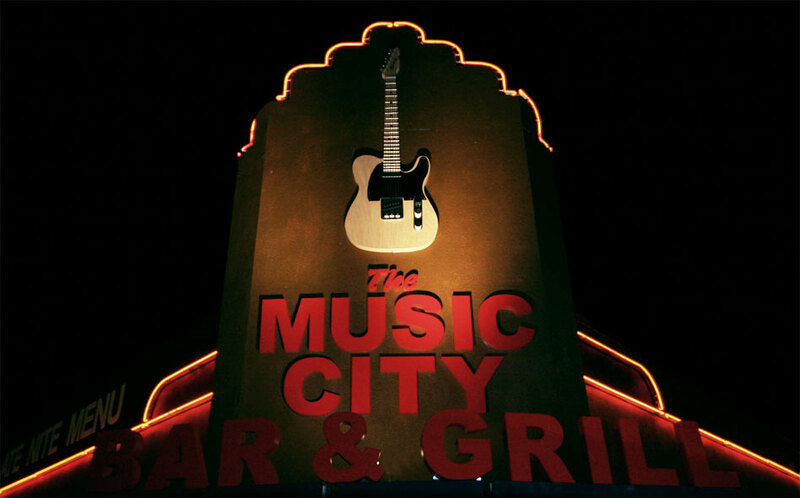 Art direction and web design for Nashville Restaurant Music City Bar and Grill. 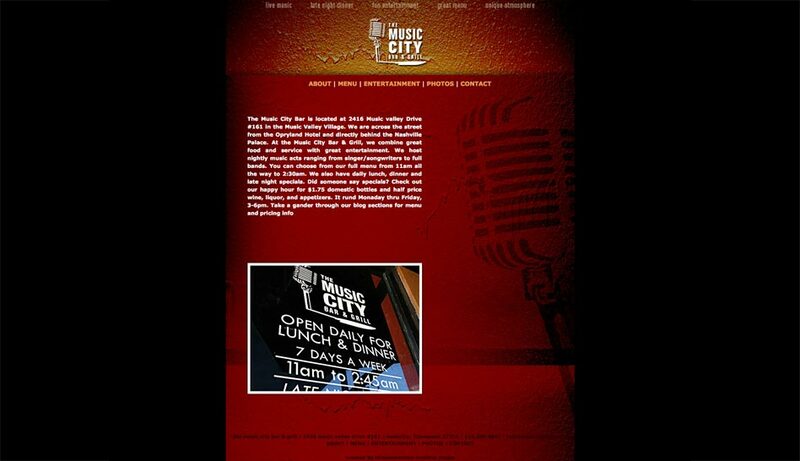 A website for a restaurant in Nashville, TN. This website gives an overview of the menu and has a calendar featuring upcoming music events. The web design uses the rich texture of the restaurant's interior as an element to communicate the Americana atmosphere of the restaurant in the UX. The projects also included logo design and art direction of a lifestyle photo shoot. 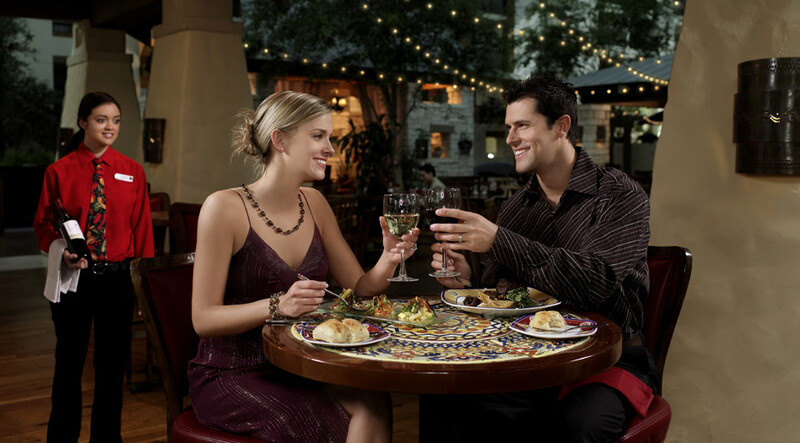 Art direction for a liefestyle photoshoot for Gaylord Hotels to capture the atmosphere of hotels' restaurants, bars, clubs, spas and other venues. 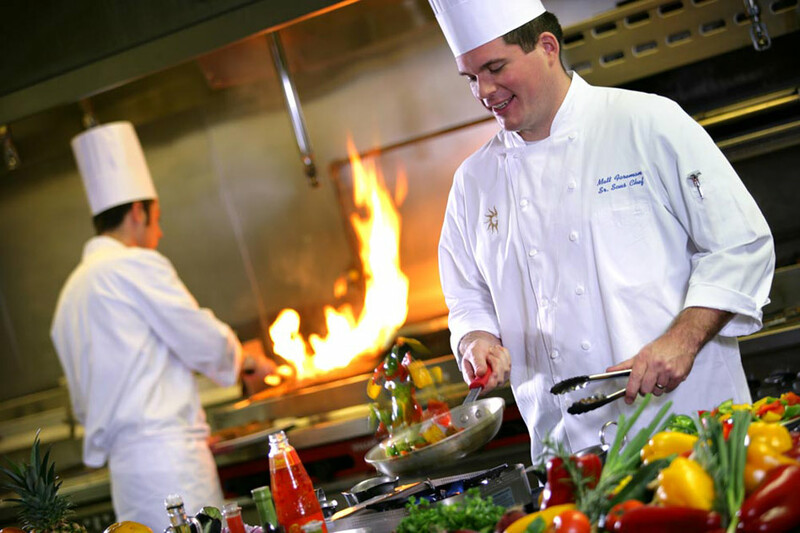 The photographs identify Gaylord Hotels' venues by showing subtle details such as restaurant names in the background or logos on uniforms. The shots are currently being used on websites and in marketing material. Art direction and concept for a Social Media short for the Oreck Corporation. This video creates an emotional reaction and shows details of the community. The message is sutbtle and the product takes a secondary position. By doing this the video feels less commercial and more welcoming which is reflective of its core message. The video was only distributed on youtube and generated over 56,000 hits. This video won an ADDY Award in 2012. 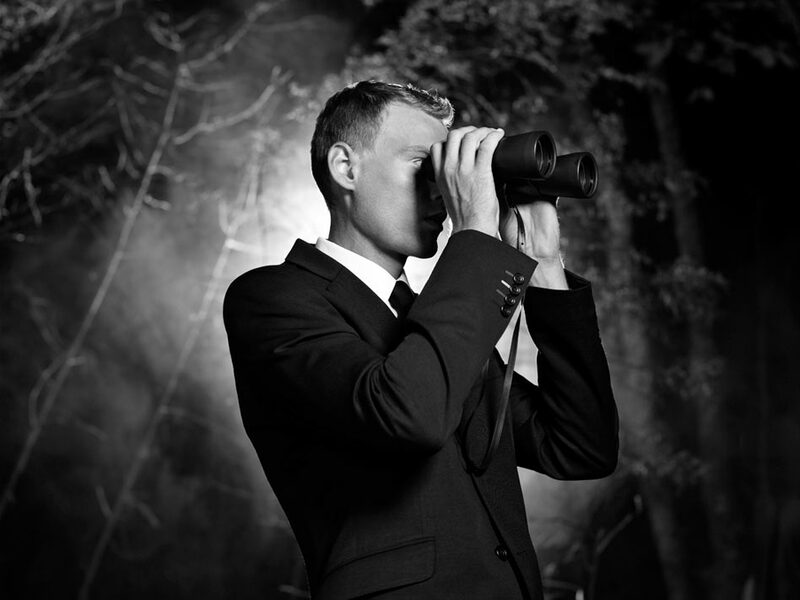 This Black & White photo shoot tells a 1950s espionage story in a cinematographic style. As Art Director I wanted to lend this conceptual shoot an elegant and dynamic look and feel. 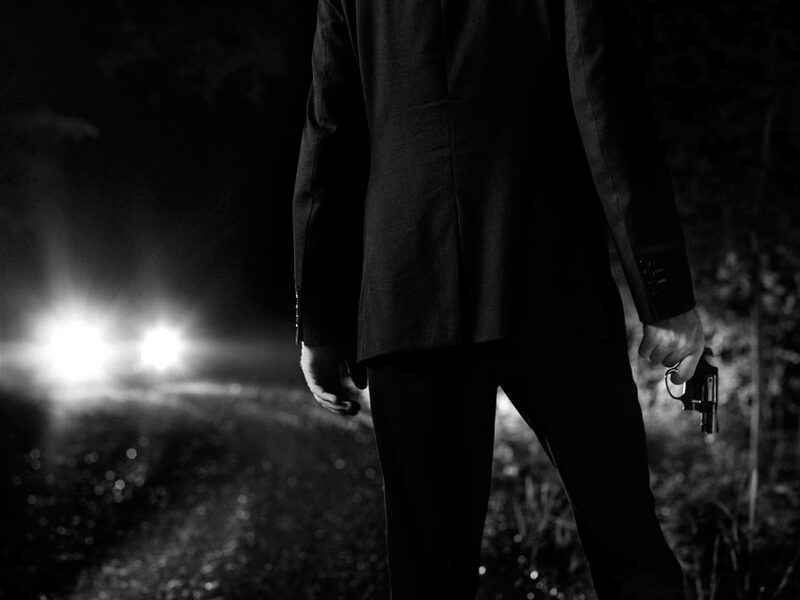 This series of seven images tells a spy story with an unexpected ending. The turning point is unveiled in shot number six. Art direction for a liefestyle photoshoot for Radisson Hotels. 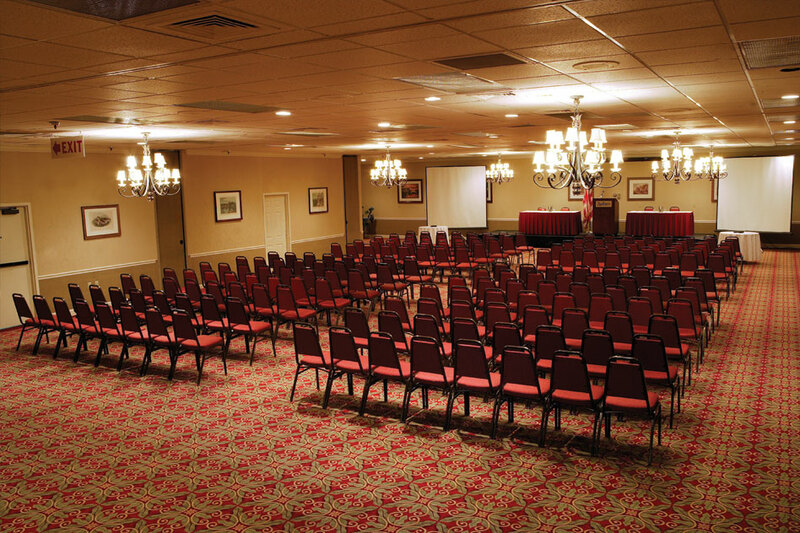 The photographs showcase the rooms, amenities and meeting space of the Radisson Hotel at Opryland. 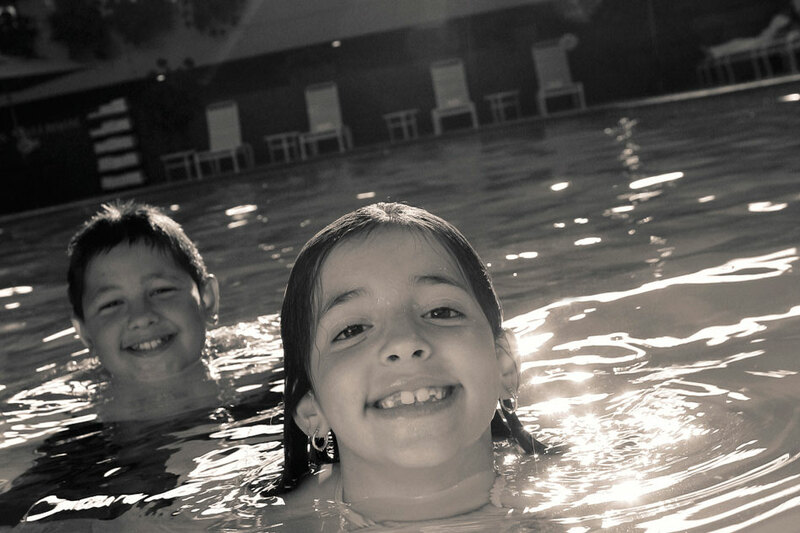 The shots are being used on advertising and in marketing material as well as on websites. 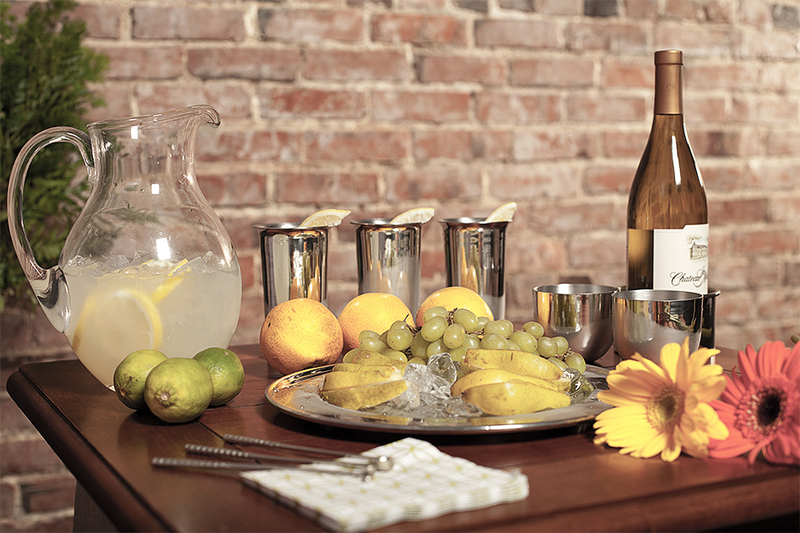 Art direction for a product photoshoot for Tennessee Pewter. 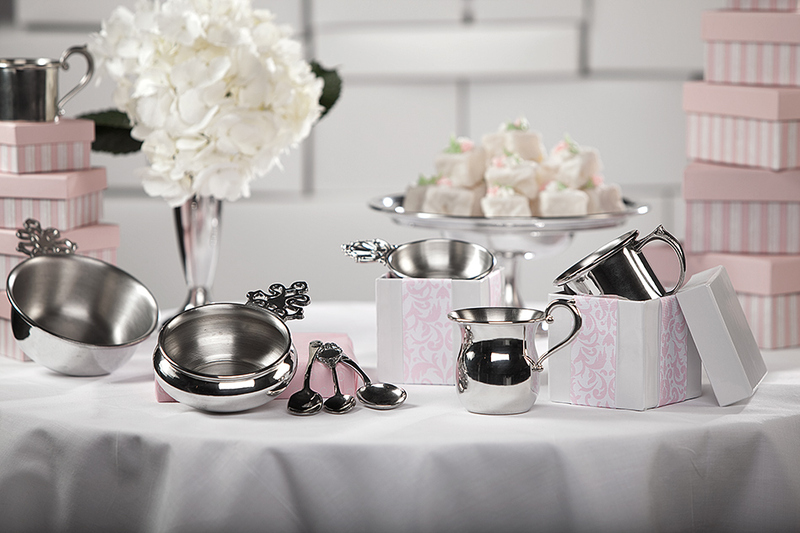 The photos show the various Tennessee Pewter products in different scenarios. 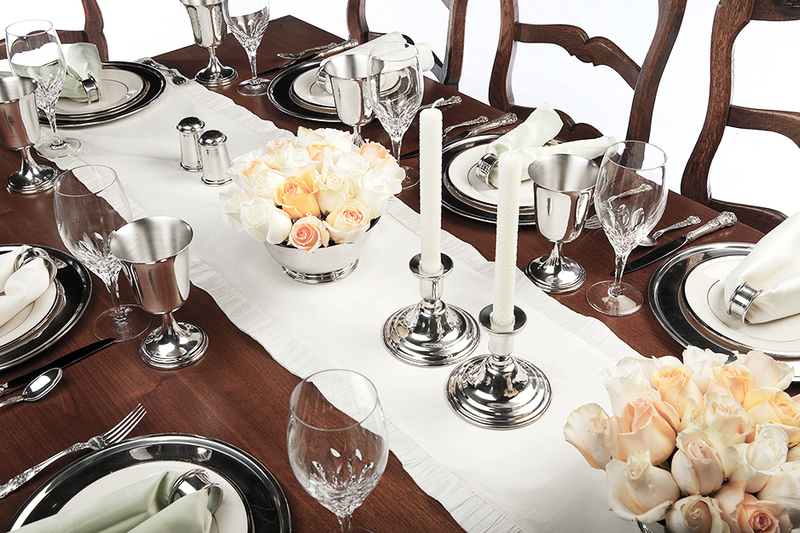 This showcases the versatility of pewter items which can be used in real life to elevate the ambiance of an event. 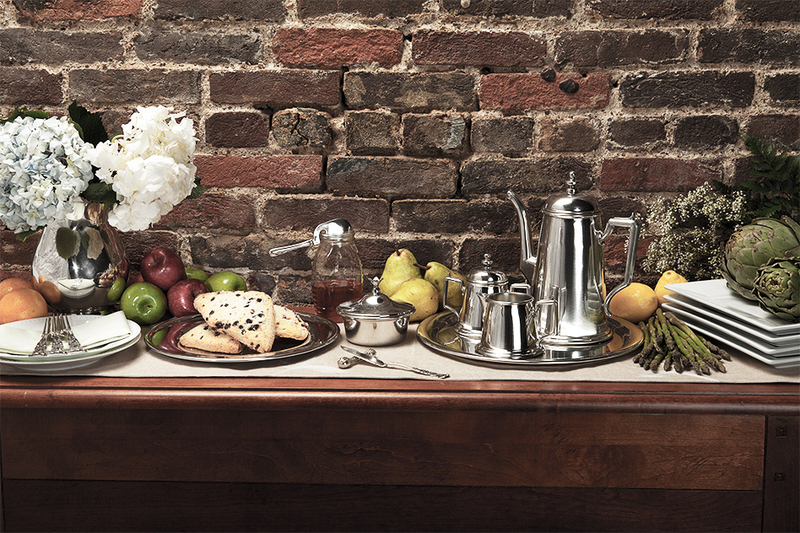 The 'stage' is juxtaposed against the pewter either in color, contrast or texture. This allows the product to stand out. 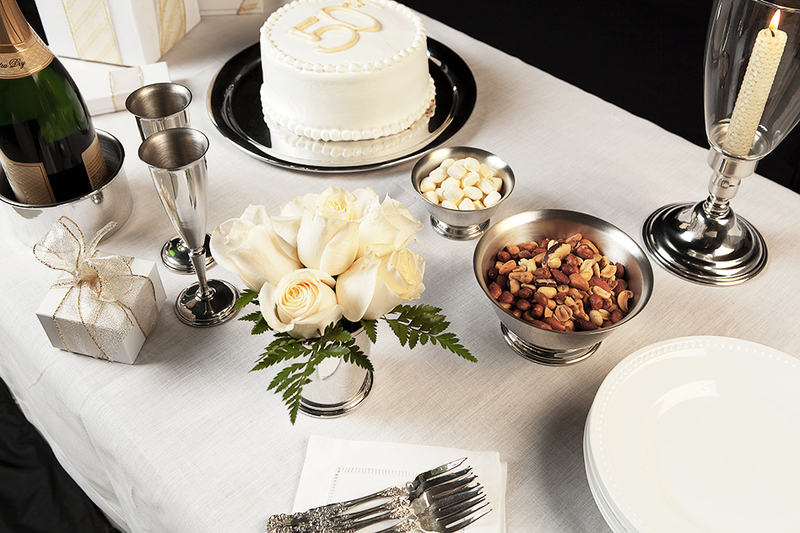 The light reflecting on the pewter also naturally highlights the single items. 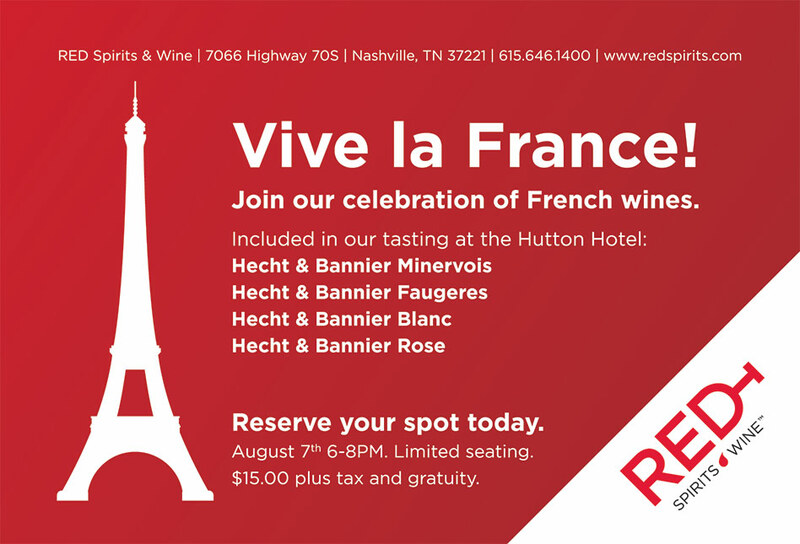 Feel free to contact Franco Scaramuzza for further information.